Now everyone can access personal wellbeing support through our WELL121 online health coaching and activity tracking programme. Our online health coaching supports people in making important lifestyle changes using a unique combination of health tracking and personal support. Whether it's running a first 5K, losing weight, improving sleep, having more energy or managing a health condition we can help. A typical programme lasts 4-8 weeks and can be done at any time or place. Our unique coaching platform enables us to offer highly personalised support to large amounts of individuals. It sit's perfectly alongside existing wellbeing engagements currently on offer such as health screening, health & wellbeing workshops or charity events. I am about to climb Mount Kilimanjaro in October 2018 and have found having the online health coaching support from Matt invaluable.I set a goal of 10k a day and track other key areas such as my water intake, sleep and eating habits daily. Having Matt there to provide the occasional nudge is great. I can't thank you enough. I lost 14 lbs and have become a lot fitter. Online health coaching and tracking my daily habits kept me on the straight and narrow.. Now for my next target a 10k run for charity. 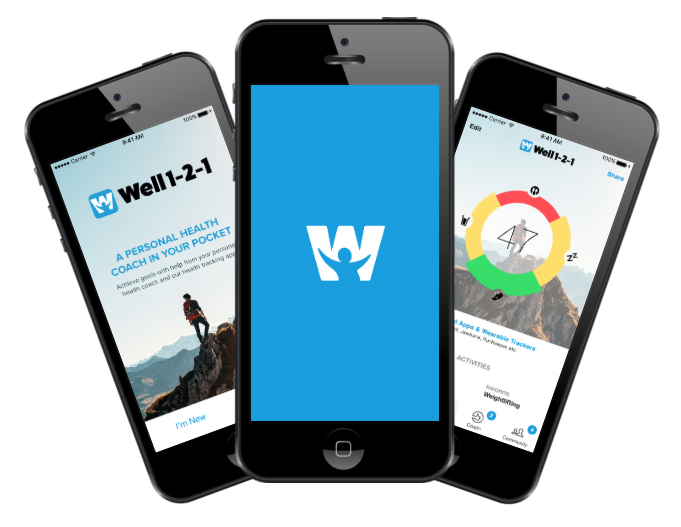 All online health coaching is provided through our WELL121 app which can be downloaded from Apple or Google and connects participants confidentially to a dedicated health coach to chat online, provide motivation, guidance, top tips and the occasional nudge. The app tracks daily health habits and synchronizes with other fitness apps to bring all data into one place. The health coach will spend time initially trying to understand current health status and goals. After a brief discussion the coach will build a personal programme and set daily goals. Programmes use the latest behaviour change theories to help identify where changes can be made, how it can be done and most importantly the benefits of making them. We are firm believers that when you hold yourself accountable for your health and understand your health you can apply this power and knowledge to make SUSTAINABLE positive changes to your lifestyle. Weekly catch up sessions with the coach check on progress and plan the goals for the following week. Coaches can track progress by connecting to the app and test resilience by challenging new behaviours. Post questions / replies to a community. Learn of other users experiences, tips and tricks that helped them to live a healthier lifestyle. The community was designed to connect other Well 1-2-1 users together in the pre-tense that communities work well together in the real world so why not join a community and work together to achieve your goal. Participants can monitor a wide variety of data each day.WELL 1-2-1 synchronises with Apple Health,wearable technology such as Fitbit and Garmin and over 100 more. Running and cycling applications such as Strava, Runkeeper and Daily Mile and many more ! Data is automatically uploaded from your wearable technology and fitness / health applications.